Most of what I read is YA fiction, but I’m currently seeking horror/thriller stories and haven’t found many good ones in teen lit. So I turned to Joe Hill. 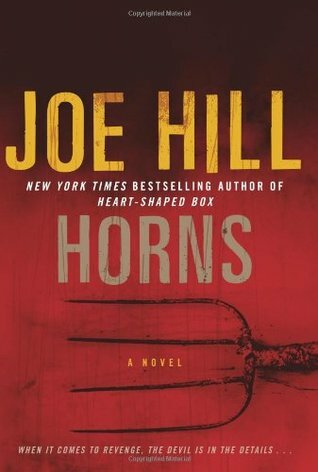 HORNS is the story of a young man who wakes up one morning with devil horns growing out of his head and now everyone he encounters tells him their wickedest deeds and desires. It’s a wonderfully twisted concept that inevitably prompts the reader to worry about the evil in everyone. What would people say if they were compelled to blurt out their darkest secrets or profess their sins? The horror in this novel comes from the atrocious things the characters have done, are still doing, and may do more of in the future. And even though the main character has horns and seems to have turned into the devil, you still root for him to stop the really bad guy. Wicked is one of my favorite words. It sort of became a cliché a few years ago, used as an exclamation for almost anything great. I usually associate it with witches, and as a child one of my favorite books, e–ver, was The Little Witch. 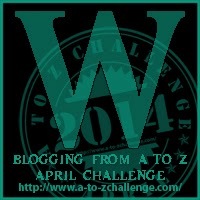 I read it when I was about ten and have tried to find it again, but to no avail. The Little Witch’s mother was, of course, a witch, and she transformed all the annoying children in the neighborhood into flowers that she kept on her windowsill in small clay pots. The little witch eventually outsmarts her mother and returns the lost children to their homes. 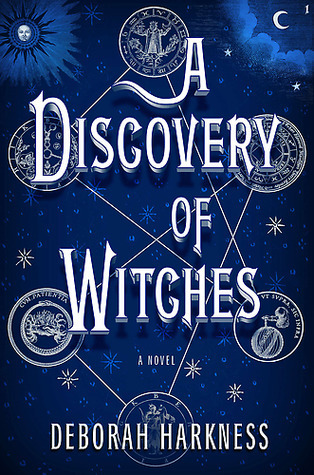 Deborah Harkness’s debut novel, A Discovery of Witches, tapped into my intrigue about witches and I found it to be a mature, intellectual story about a modern-day college professor who unexpectedly finds herself immersed in a world of witches and vampires. Diana Bishop, a young scholar and descendant of witches, discovers a long-lost and enchanted alchemical manuscript, Ashmole 782, deep in Oxford’s Bodleian Library. Its reappearance awakens her connection to a past she’s been trying to ignore and summons up a fantastical underworld that she navigates with her leading man, vampire geneticist Matthew Clairmont. One thing that did start to wear on me was her incessant tea-drinking. It became a distraction. I love tea, but really, the character used it as a salve for nearly every stressor in the story. Harkness created a contemporary story of magic and suspense that is much more than a supernatural tale. 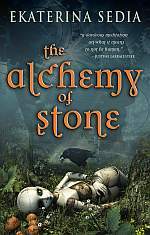 It’s an intelligent consideration of genetic mating, powers, and history that acquaints the reader with the Philosopher’s Stone, alchemy and so much more. And then there’s the sweet romance that seems doomed on every level. A boyfriend who is a professor and a vampire? Replete with Gothic mansion? Really? And yes, I loved it! And there are two more books if this one strikes your fancy and I just learned there’s a movie in the works! Oh yeah! This book has a whole lot of wicked and interesting stuff going on. A society crumbling, a cruel inventor, hosts of revolutionaries, a few spies, some restless ghost, dying gargoyles, and of course Mattie, a brilliant automaton who works as an alchemist. Mattie is the only machine of her kind. She lives a strange little life in her shop, helping those who come to her door with her personal brand of alchemy, a blend of science and magic. She’s an emancipated automaton, almost free of her inventor, but not quite. He refuses to give up her key, the one that fits her heart, winds her gears and keeps her going. We get the sense he holds the key captive for complex reasons, first because he wants to keep Mattie loyal to him. Since he’s a mechanic and she is an alchemist, and they are the two groups battling for governmental control, one could assume his reasons are solidly political, but I don’t think so. Theirs is a complicated relationship, and I got the feeling unrequited love, envy, jealousy and much more are simmering under the surface of their civil exchanges. As the book evolves it’s clear that Mattie is in possession of much greater understanding of civic events and of human nature than her inventor suspects. At the bequest of the city gargoyles Mattie finds herself thrust into the forefront of huge sweeping events. She’s destined to play a part in plunging the city she loves, already balancing of the brink of war, over the edge. The world building is what I loved about this book, the class structure, the plots and subplots. There is just so much going on. This is not a popular book by any means, but it has a number of the stylistic decisions that author made that create a unique read. I can’t say I loved the ending; the pacing felt rushed and I wonder if a sequel was originally planned, as as a number of issues are left unresolved. Overall a worthy read. Thanks for some interesting book titles, Heather. I’ll be checking them out! I am playing with a witchcraft book idea for YA (Interestingly, I tentatively titled it “A Discoven of Witches” to play off the dysfunctionality of the group!) I grew up with a ghost in my house, so “the other side” has always fascinated me. You’re welcome, Sharon! I love books about witches too. In fact, we were considering making this topic “Witches” but then thought we’d go more broad. My most recent YA witchcraft read was Burn Mark by Laura Powell.